Macklemore and Ryan Lewis’s song ‘Thrift Shop’ is just one of the reasons why hunting down bargains, labels and grungy clothes is so big right now. Thrift shops are no longer associated with your great gran and funky-smelling fur coats; they are now treasure coves of curious items of jewellery and retro T’s. Leeds students are the models of this new craze as they exhibit their fabulously faded floral shirts and oversized Ralphie jumpers outside Edward Boyle Library. 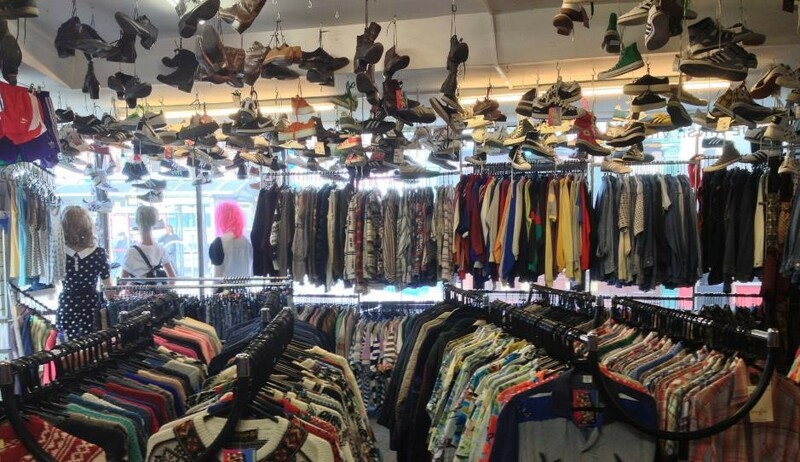 These vintage shops possess brands from Nike to Burberry and Adidas to Ralph Lauren. So get your mum, sister, dad, dog and goldfish down to these goldmines of dazzling bargains. 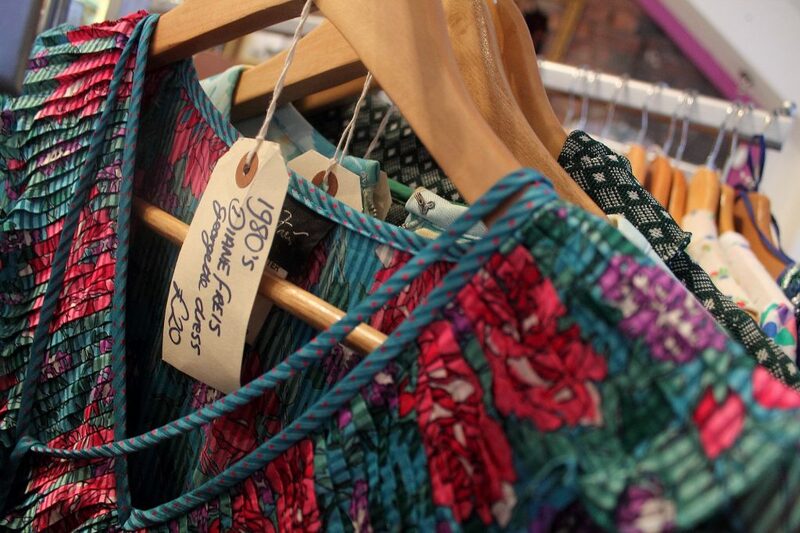 Tucked away in the heart of the Corn Exchange, this boutique is run by husband and wife, Damien and Rebecca, who have run various pop-up shops and vintage fairs around Yorkshire. These gloriously hand-picked pieces are glamorous and top quality, and the deliciously affordable prices will have you rummaging through their goods like a maniac. Embrace your inner, rebellious 1920’s flapper as you sway to heady jazz music in your Twit-Woo pinafore. Rediscover the ABBA DNA, inherited from your parents, with your ridiculously vibrant, Twit-Woo flares. Throw on your 1980’s neon hued aerobics garms, paired with dazzling jewels from… TWIT-WOO. 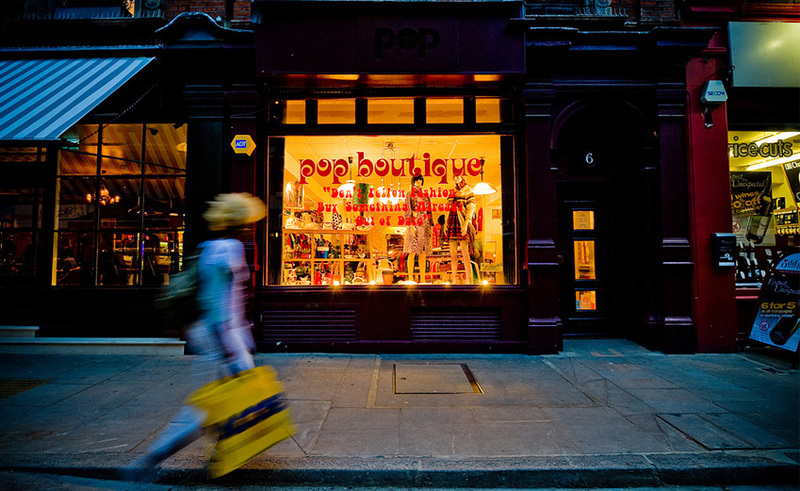 This marvelous boutique holds the fashion of each era and the keys to our heart. In the words of John Galliano: ‘style is wearing an evening dress to McDonald’s, wearing heels to play football. It is personality, confidence and seduction’. The world will be twit-wooing you the whole way, darling. This STEAL of a boutique is situated right next to the iconic Crispy’s and LS6. You know it’s got to be a great find when it is sandwiched between two tasty restaurants. Transform your crib into a palace with the fascinating array of eclectic antiques. These range from battered leather chairs to animal skulls. After this it will be good enough to bellow: ‘HEY MTV, WELCOME TO MY CRIB!’ from the turrets of your castle. Not only does it hold a variety of strange, strange homeware items, but the vintage clothing section is my favourite in the whole of Leeds. I may be biased after recently purchasing a vintage Levi jacket for an insane price from here, but I’m convinced I am onto something here… This will remain our secret. 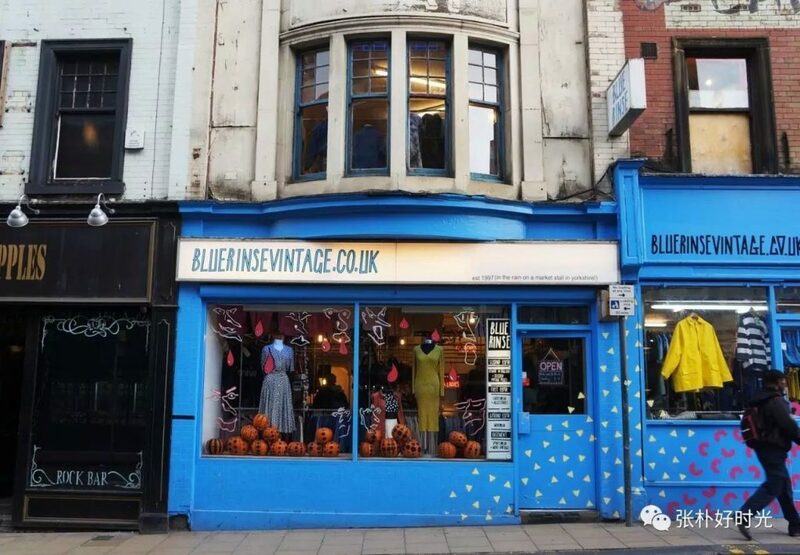 Situated in the notoriously hip Call Lane, Blue Rinse is the king of all vintage shops. Their Aladdin’s Cave of treasures expands to kilo sales where, for only £15, you can bag yourself a whole new outfit from their elaborate dressing up box. If you find rinsing through thrift shop clothes too stressful (pardon the pun!) then their website holds a selection of look books where you can meticulously plan whether you want the blue or black dungarees… Or a turtle neck in orange or pink. The world is your oyster! In the words of the great Macklemore: ‘Now go pop some tags, even if you’ve only got twenty dollas in your pocket.’ Festival season isn’t too far away either. There’s no harm in being organised. Written by - Rhiannon L.